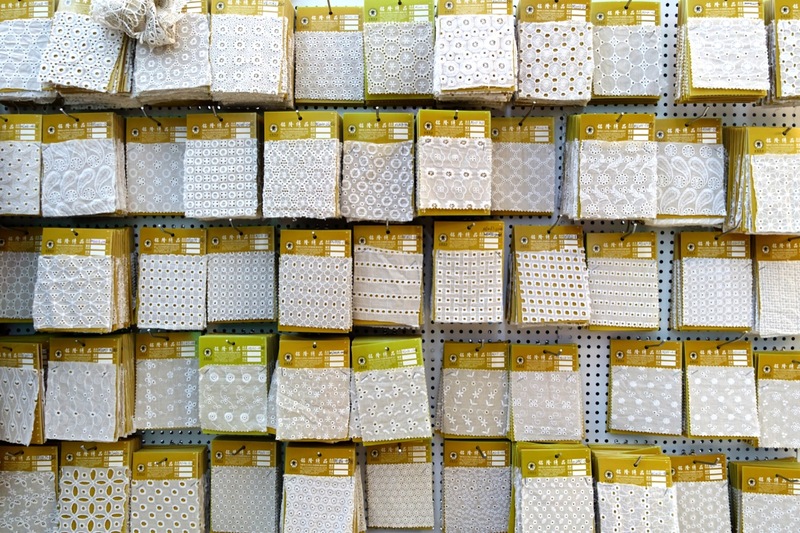 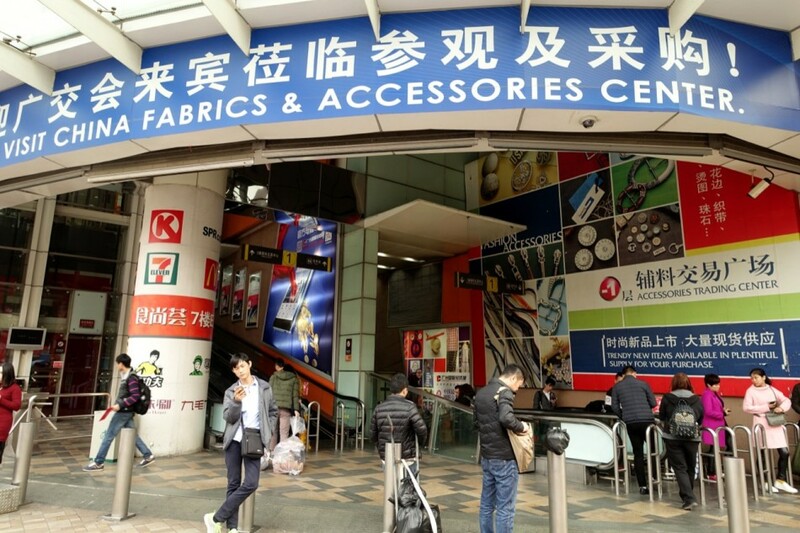 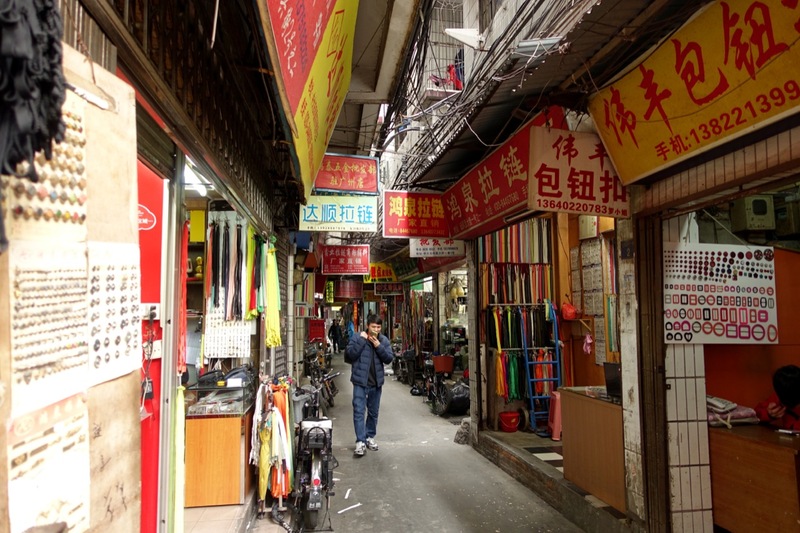 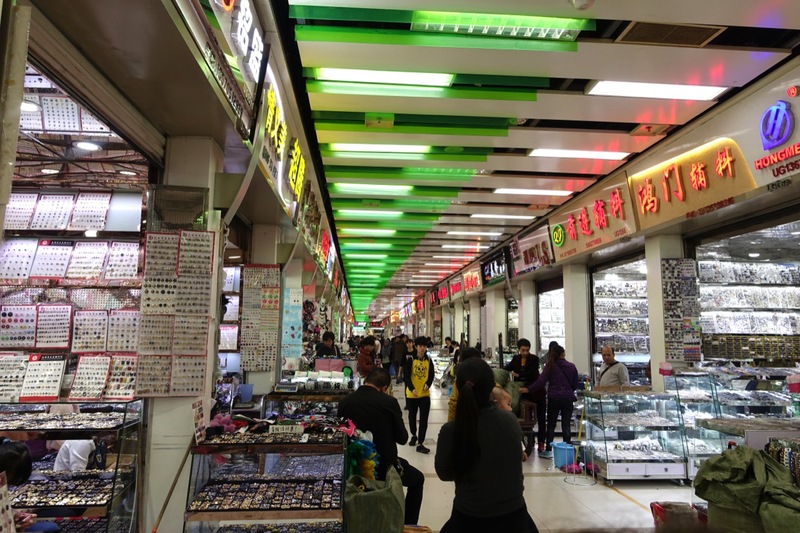 The fabrics and accessories market in Guangzhou, also known as the Zhongda textile district, is located on the south of the Sun Yat-Sen University campus in Guangzhou’s Haizhu district. 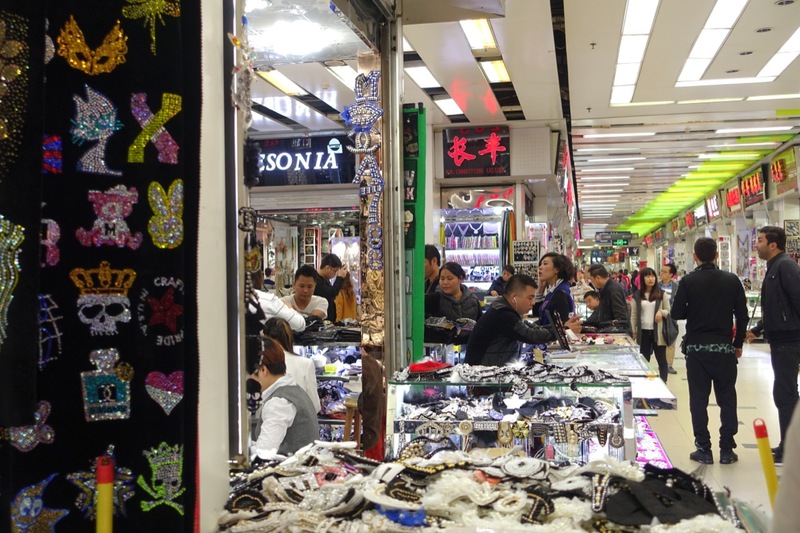 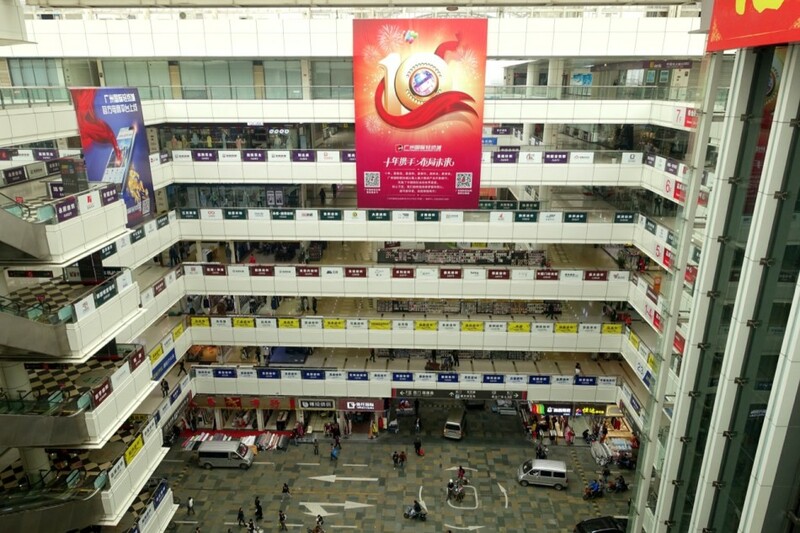 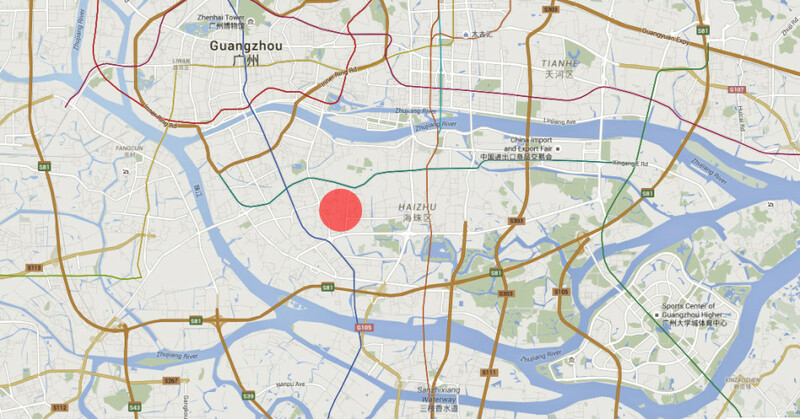 The area is known to be one of the two largest textile-trading areas in China, populated by clusters of textile-related wholesale centers with thousands of showrooms and shops as well as textiles manufacturing facilities at various scales. 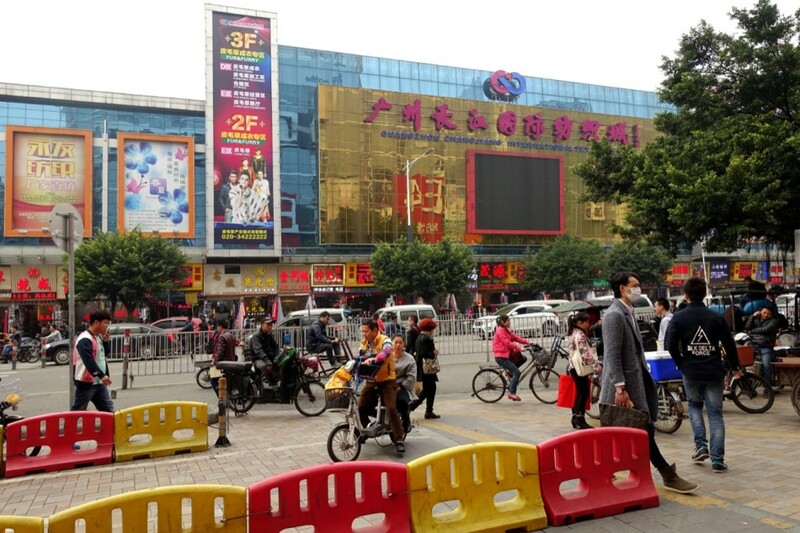 This type of spatial concentration of a large number of companies related to the same industry is seen in other parts of the world as well, which evidently “eases linkages with suppliers and buyers and encompasses a combination of cooperation and competition that can give rise to successful local economies.” Strolling through the streets and vast wholesale malls of the area inevitably brings about a whole new apprehension of the scale of global textiles industries. 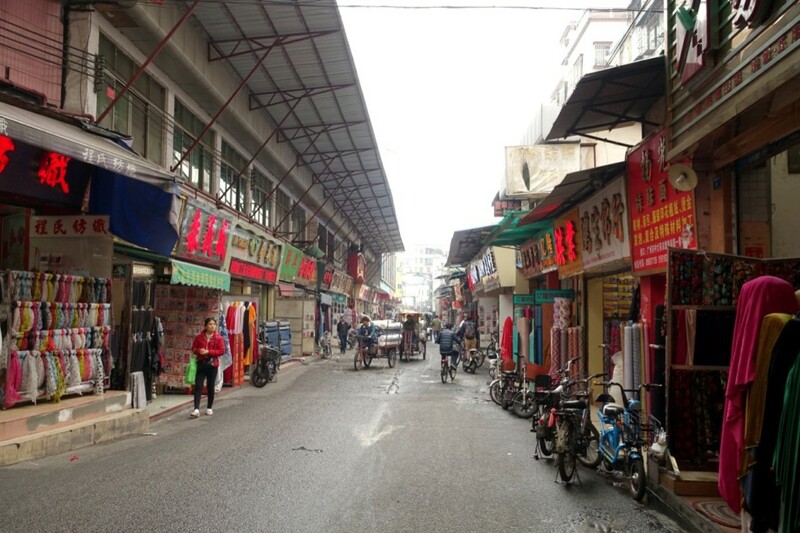 The shops are agglomerated either in rather newly erected, modern-looking multi-storey “trade centers” spread throughout the district, or along the sides of old, narrow and dense streets. 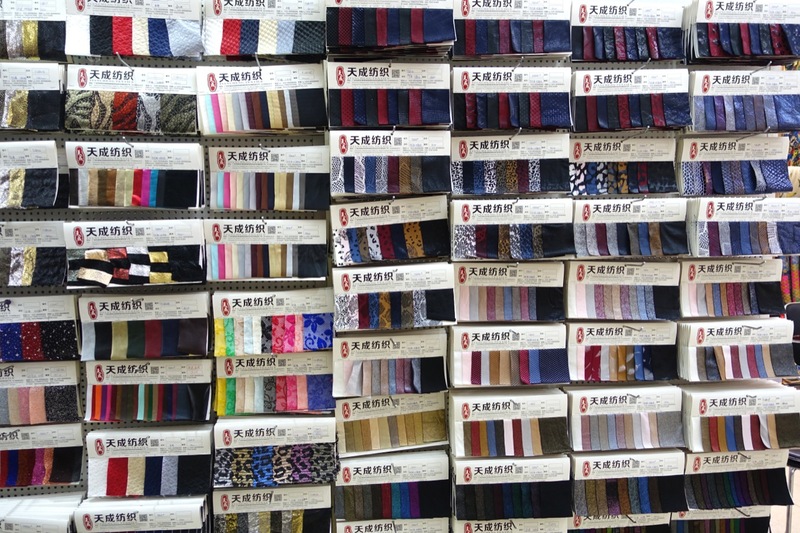 One dominant sight in the market is the colorful view of thousands of fabric samples hanging in storefronts waiting to be picked up by local Chinese and global customers. 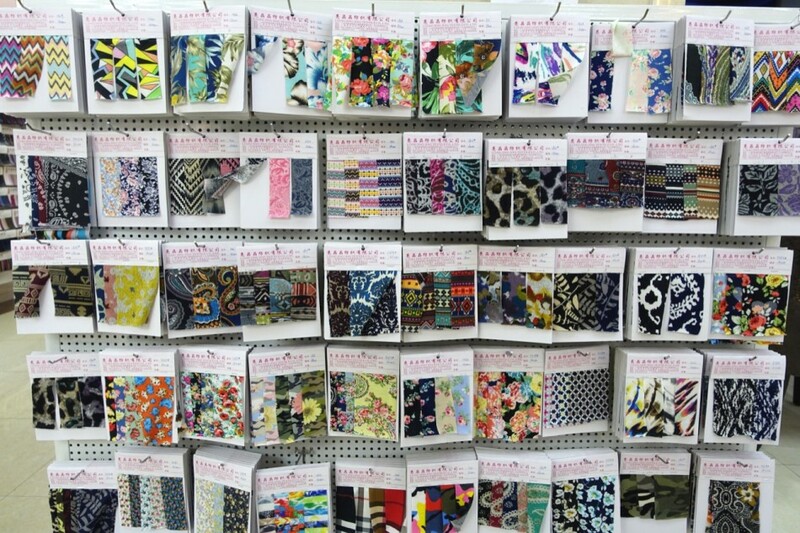 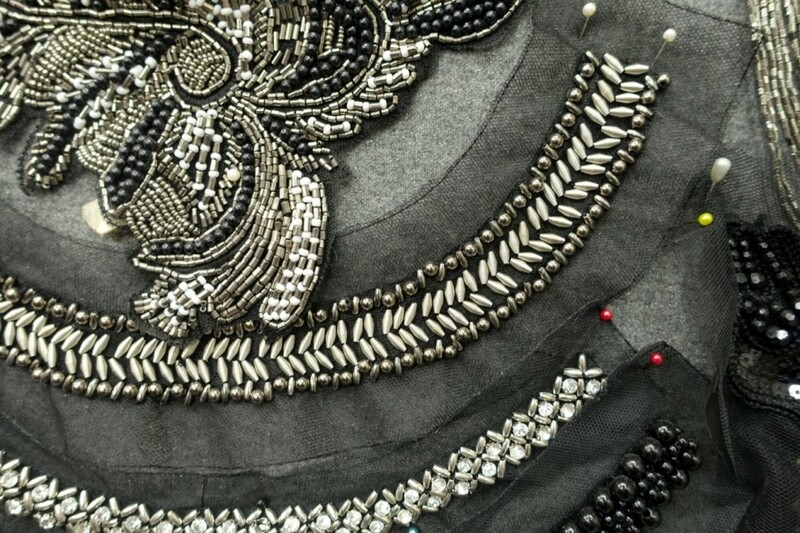 Fabric manufacturers, mostly focusing on woven and knitted fabrics as well as machine lace, proudly present their current fabrics collections in a well organized manner. 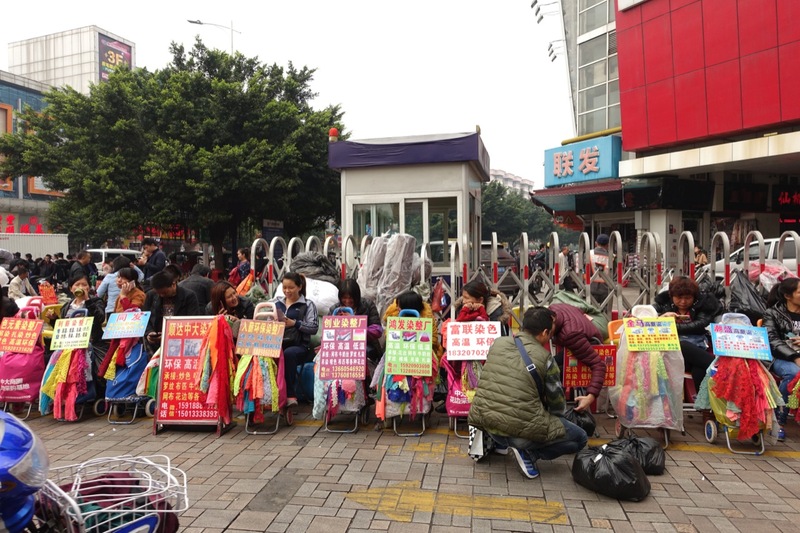 Manufacturers that cannot afford whole trade showrooms in the market, display their fabrics on shopping trolleys lined up along pavements. 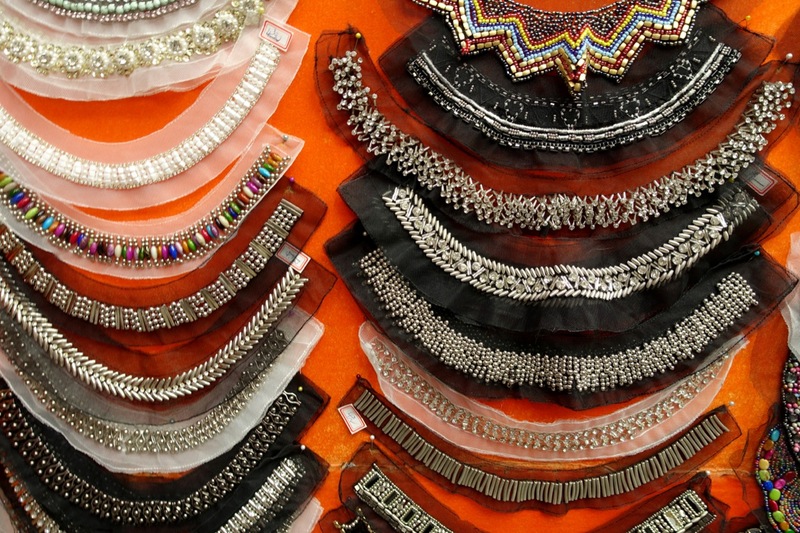 The infinite number of decorative textiles accessories covered with colorful and shiny beads and sequins creates another spectacular view. 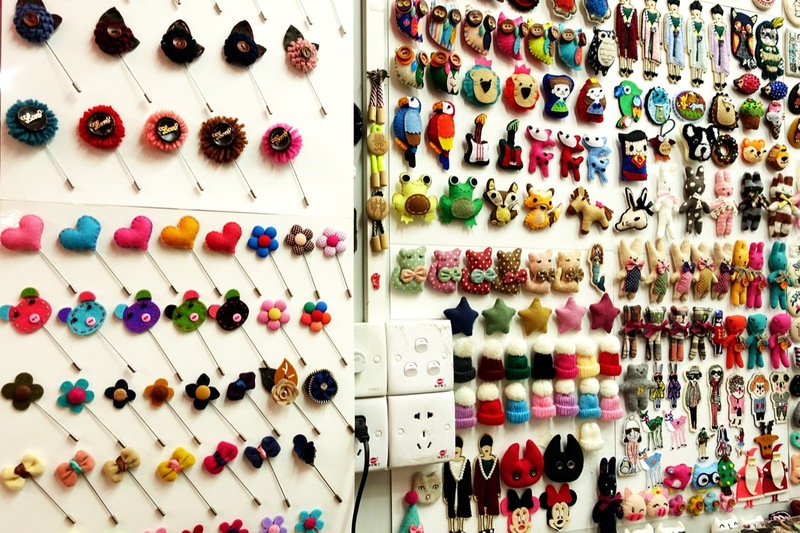 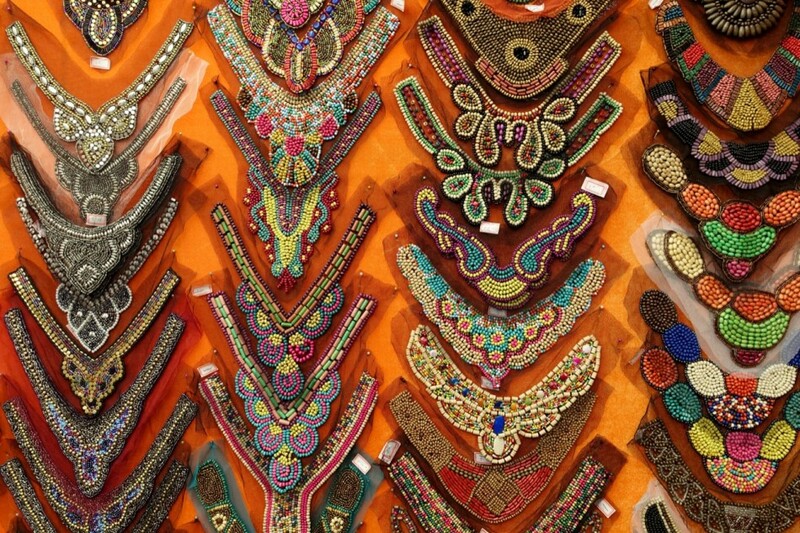 Most of these decorative accessories are apparently made by hand. 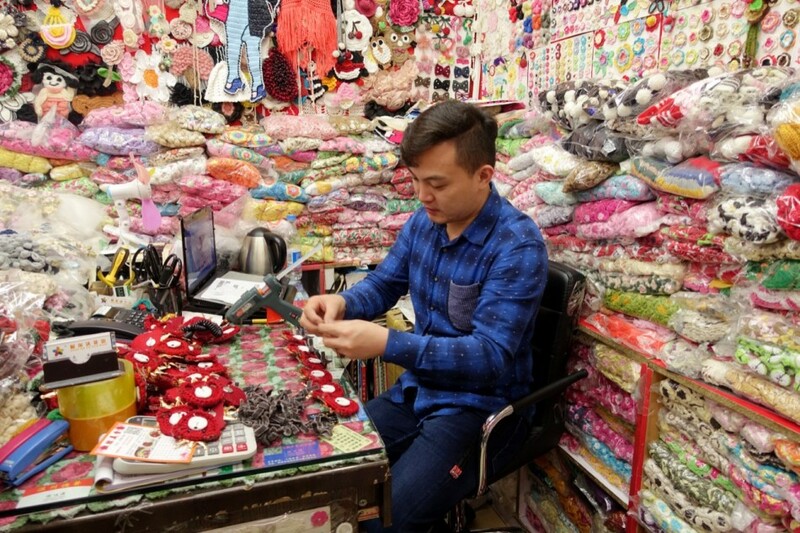 The handcrafters either work together in factories provided with their own small desk-spaces, or at their homes that are spread all over Guangdong and some neighboring provinces. The handcraft jobs are distributed to and collected from work-from-home handcraft workforces by their ‘village group leaders’, those responsible for delivering the predefined product on time. 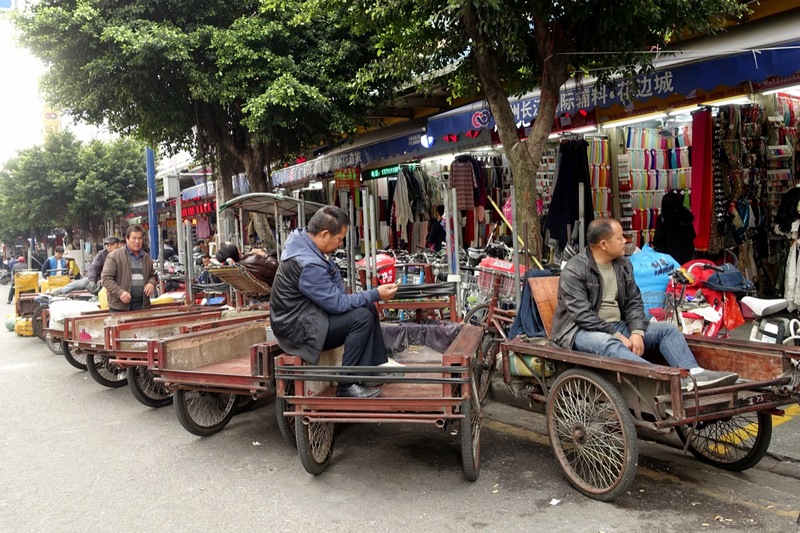 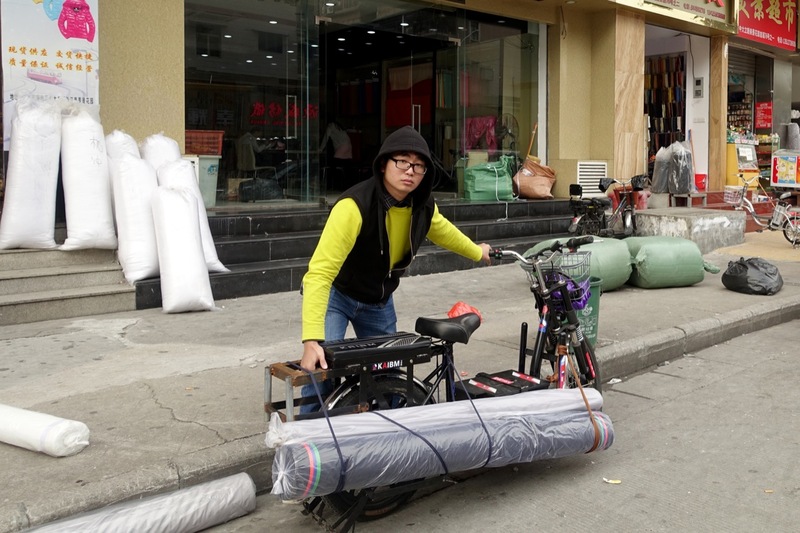 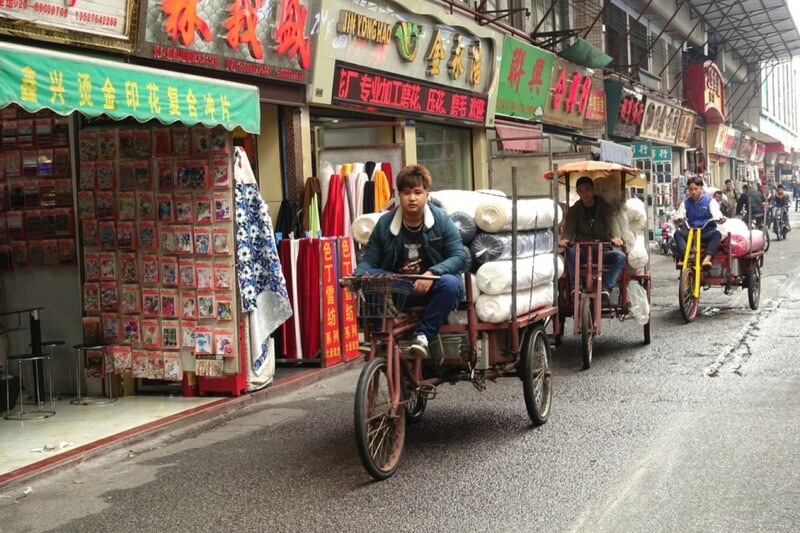 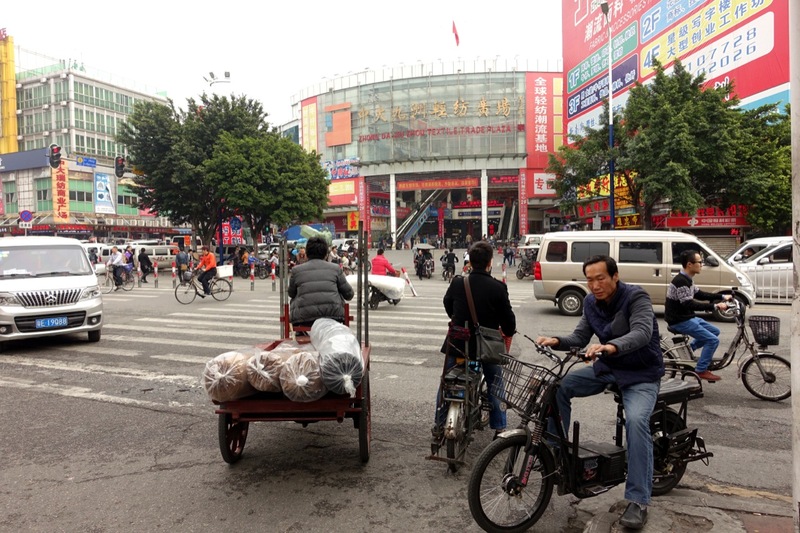 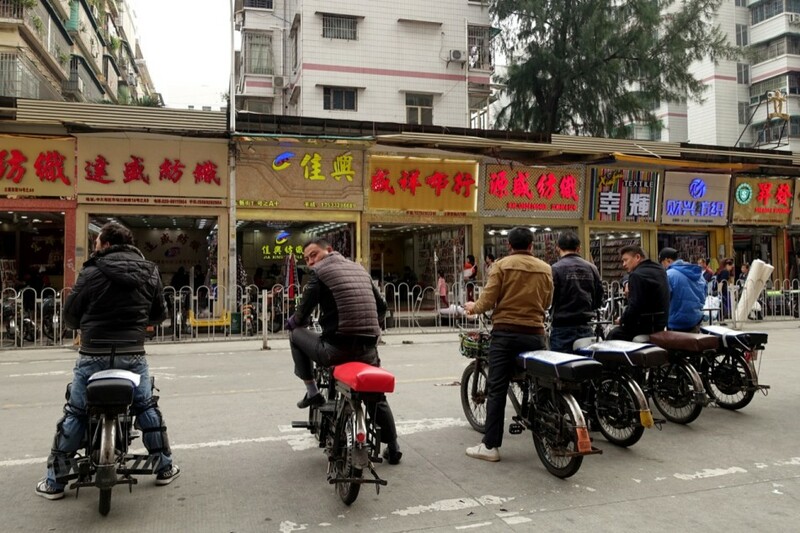 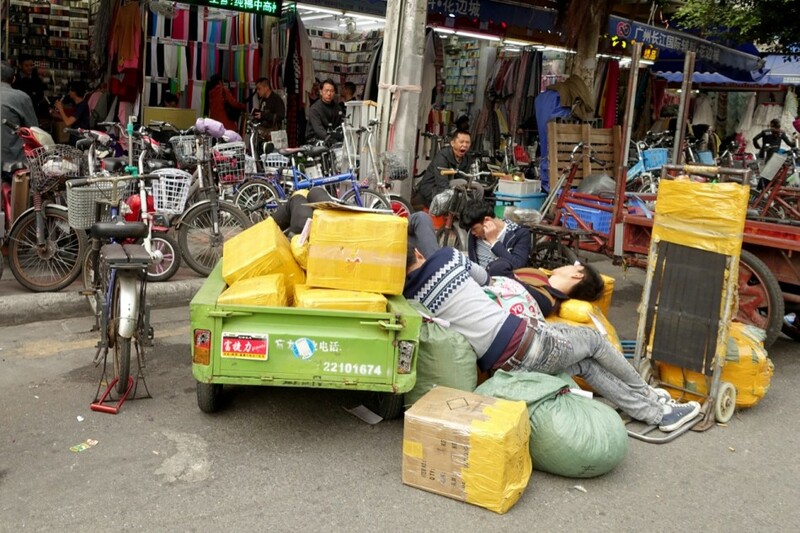 Guangzhou’s textile district is vibrant with a constant flow of all sorts of vehicles carrying bulks of packed goods around. Sounds of the heavy traffic fill up the air, as porters waiting for job calls rest by the sidewalks on their parked vehicles. 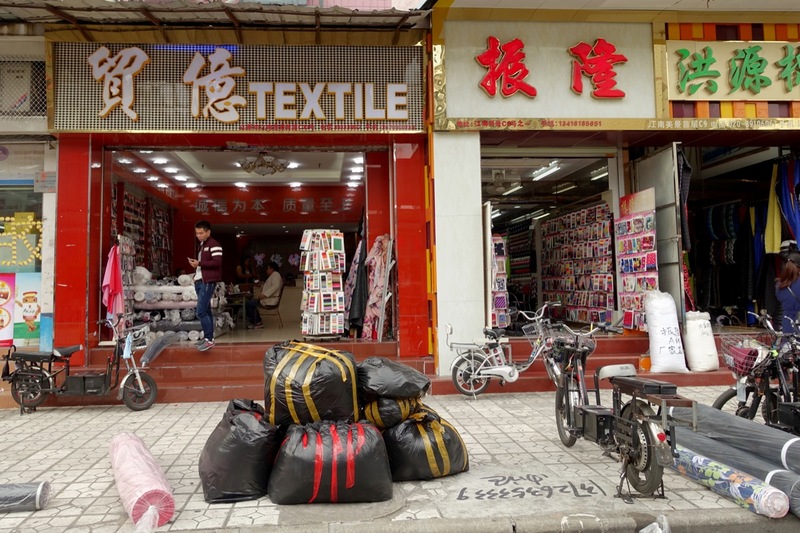 Schröder F., M. Waibel and U. Altrock, “Global Change and China’s Clusters: The Restructuring of Guangzhou’s Textile District,” Pacific News: 33, January/February 2010.